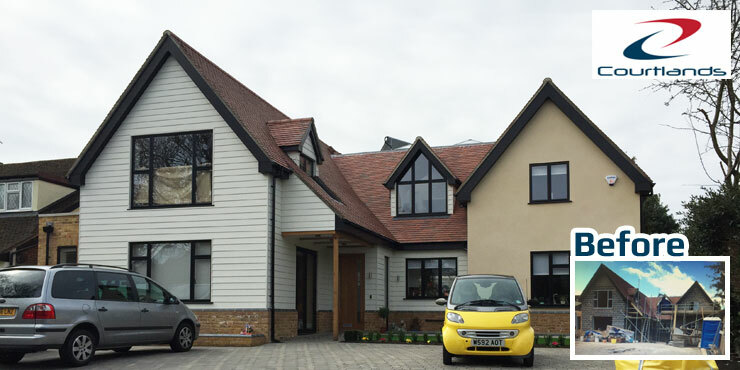 Courtlands have a proven track record having built more than 50 flats, extensions and new build houses throughout London, Kent and Essex. We offer a full project management and client relationship service throughout the entire process. Our services include demolition, foundation piling, steel work, total fit-outs and landscaping. We also provide watertight shells for those who want to do the fit-out themselves. Courtlands uses design to meet you specifications and requirements, from modern contemporary to classic traditional projects. At Courtlands we offer design solutions that bring your ideas to life. Our flexibility enables us to be able to adapt to your individual needs. We are able to offer help and advice on alternative solutions that could save you time and money. Our work force has been together for over 8 years and has experience of many different types of buildings and projects. We are a highly skilled and dedicated team of building professionals that will oversee every aspect of you project, leaving you without the day-to-day worries. Whether it's a new build house or a new build block of flats, Courtlands will offer the best advice allowing you to select your best option. Courtland can turn your dreams and plans into a reality and we have a proven track record across London, Kent and Sussex. From the very early stages, Courtland will work with you to build your dream home, from design to the fittings. Courtland have converted a large number of properties into flats and apartments across the South East of England, primarily in London, Kent and Sussex. 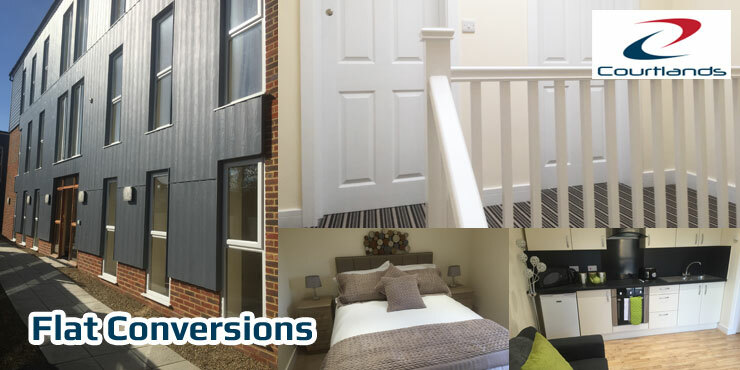 If you're thinking about converting your property in flats or apartments, get in touch with us. If you would like any more information about us or the services that we provide, please do get in touch or give us a call on 01843 446918. For additional information on the areas we cover and the range of services we provide please contact us or call us on 01843 446918.